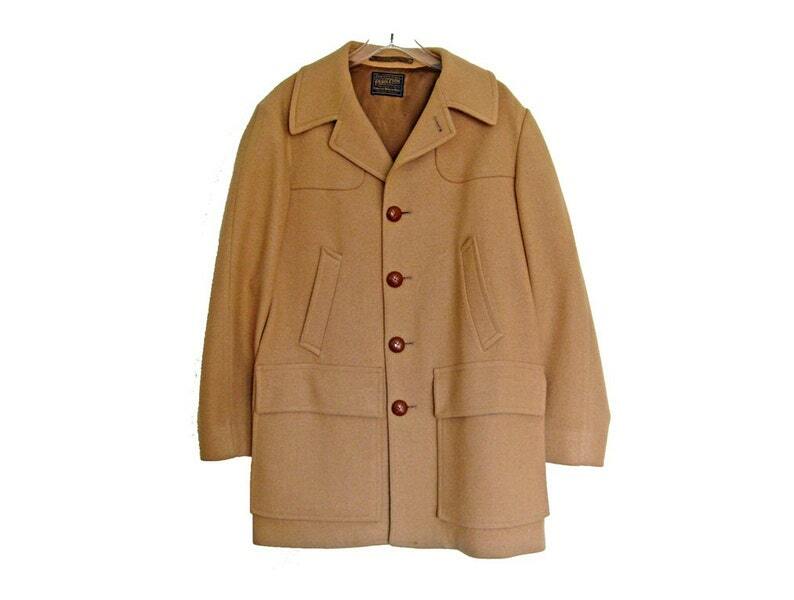 Amazing and in excellent vintage condition 1960's Pendleton wool coat. Amazing brown leather buttons. Front hand pockets. Please note: freshly Dry-cleaned - Some spotting and slight pulling on the interior lining. Small stain on trim of one sleeve. Does not take away from aesthetic of the exterior, nor the function of the interior. See photos for details. Typical vintage wear, excellent vintage condition! Shoulder to Shoulder | 20"